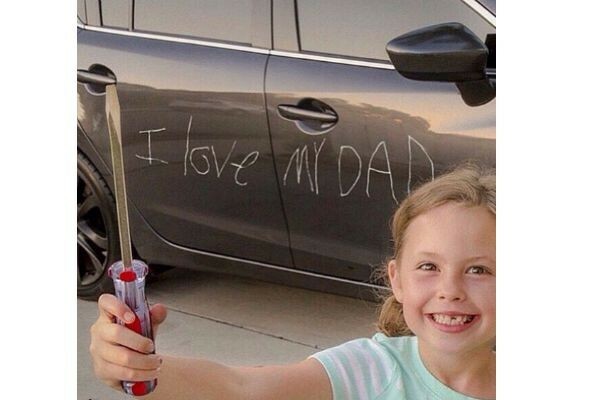 The relationship between a father and their children is unique, special and heart-warming. Dads give the warmest bear hugs, they offer the safest shoulders to cry on and they provide the best piggy back rides. 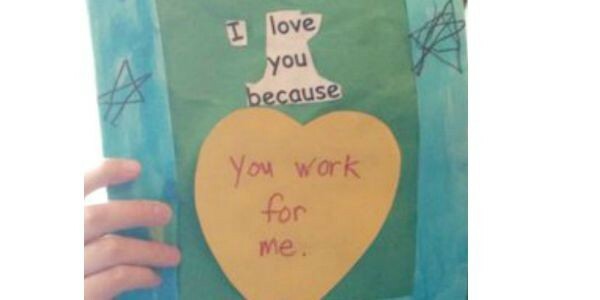 But that’s not why these children love their dads. 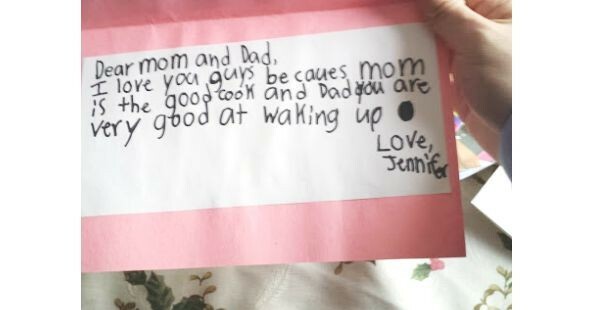 Share a laugh at these hilariously honest cards to Dad. 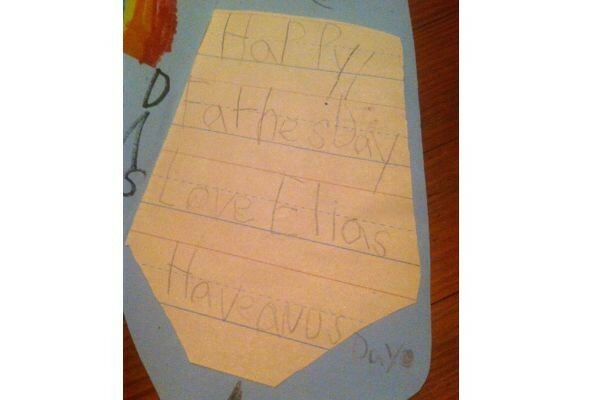 Here are ten reasons why Dad rules (according to the kids). You work for me. Don’t you forget it. What a special way to wake up on Sunday morning. 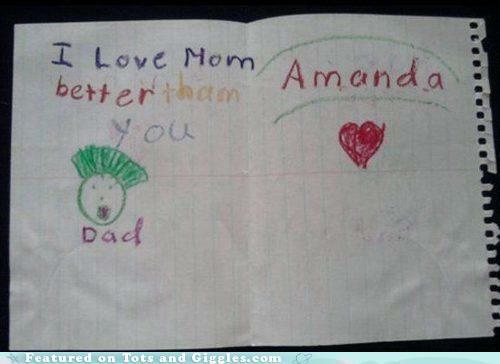 I love mum better than you, Dad. 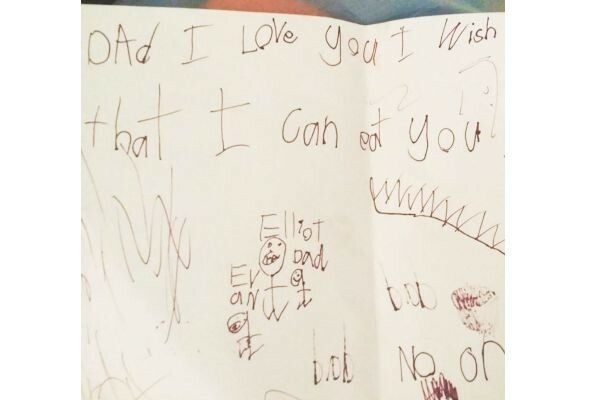 Nothing quite says, “I love you Dad,” like a desire to eat him. Note the drawing of the oversized child with the extra large teeth, especially designed for eating miniature daddys. Sometimes you have to improvise when you don’t have any paper in the house. This is such a great skill to have. 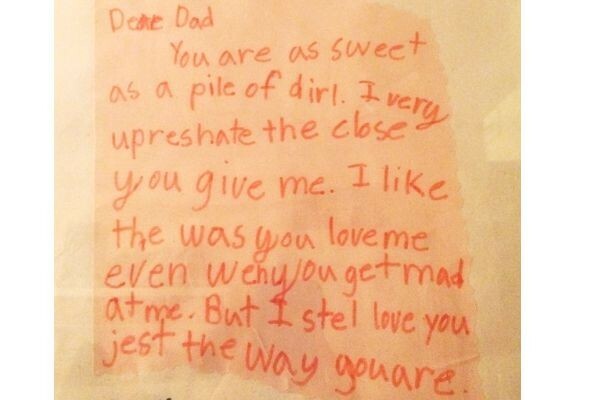 Good on you, Dad. Not sugar. Not honey. Not cinnamon. Dirt. 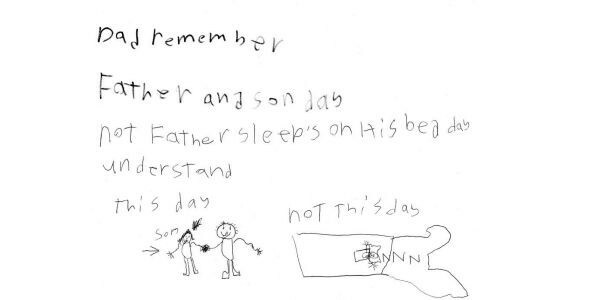 Have a nice day to you too, son. The image is a delightful addition to this gem of a card. 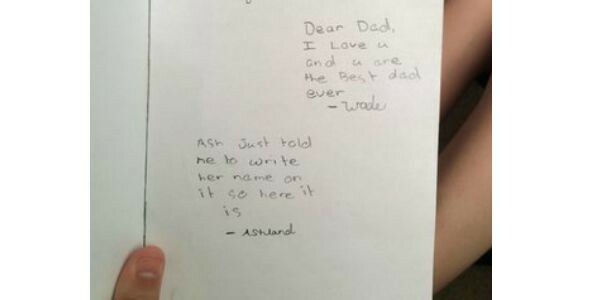 I think we know who the golden child is … Ash needs to up his game next year.